There, I said it. Losing weight is HARD. I have started to write this post about five different times over the past couple of weeks but somehow just never could find just the right words. First, let me start by telling you that one of my goals on this blog, this incredibly highly public platform of mine (yikes! ), is to be as transparent as possible. While just the thought alone scares me to death it also pretty freeing once it’s all out there. You know what I mean? Let me start by saying that I have never been one of those tall, thin, skinny (I hate that word) girls. Even when I was a kid and in high school I was more of the tall, wide, athletically built girls. I have always had broad shoulders, I have always been on the tall side and I have always been uncomfortable in my own skin. I never really felt like one of the pretty girls or like I fit in (body-wise) with all of my friends. I may have been more athletic but I was never fat (I also hate this word too, ugh) in high school, I was a perfectly normal size and yet I always felt like I was so much bigger than everyone else even though I wasn’t. Sometime after starting my first job (post-college graduation) and now I gained about 60 pounds. I gained it pretty gradually and not all at once so I never really had an OMG I AM SO BIG I NEED TO LOSE WEIGHT moment. That is, until a couple of months ago. I have a pretty love/hate relationship with the Time Hop app and a couple of months ago it popped up a picture and I didn’t even recognize myself. Now that’s bad y’all. It made me really sad and really scared because I was about to switch back to night shift at work and being on night shift means a complete life change. When you work the night shift you don’t sleep at a normal time, you eat all night and then sometimes all day if you don’t sleep when you go home, you are tired all of the time and finding the time to leave your house, much less make time to workout is pretty much impossible. It really comes down to discipline and determination and I since I have zero self control I know that if I didn’t start out going back to night shift with a different attitude about food and working out then I was doomed. I needed a plan and I needed one fast. I have tried pretty much every diet and workout out there and so far nothing has stuck. I have tried Adkins, Jenny Craig, Plexus, Advocare, counting calories, Whole30, running, P90X, Insanity, PureBarre, and I could go on and on and on. I was feeling pretty hopeless and finally talked to my Dr about it. I had my yearly checkup with her and after telling her my dilemma and having a long discussion I decided to try Adipex. I know that “diet pills” are frowned upon my most and seen as the easy way out but I was desperate. I was so afraid that I wouldn’t be able to control myself and that I would gain even more weight than I already had. In the state of Arkansas drugs like Adipex are regulated and you have to meet certain criteria to take them. You have to see your Dr every month before getting a refill on your prescription and can only take them for three consecutive months and then you have to have an “off” month. If you have any Adipex specific question, you can email me and I will be glad to talk to you. For me, Adipex gave me control over my life. It made me not hungry and not think about food all the time and it gave me the energy I needed to get through a 12+ hour night shift. I still have to watch what I eat and I still have to make myself workout but I am finally seeing results. I have lost almost 30 pounds since starting it at the beginning of April and even though that’s slower progress than I would like to see I’m just glad to see any progress. I have been on several vacations during that time period, had days where I said screw it I’m eating whatever I want and then did. I eat cupcakes, I eat popcorn at the movies, I drink my weekly frappe from McDonald’s, I have gone weeks where I didn’t even workout once and yet somehow I’m still here, plugging along, just waking up every day and starting over because that’s what you have to do. You have to decide every single day that you’re going to follow your plan and not deviate and then you have to do it. It really is a mental thing more than anything else!! I still have a long way to go to get to where I want to be weight wise but I am on my way and I will get there, one day!! Losing weight is HARD but to me, it is so worth it. I hope that this post may encourage someone who is trying to lose weight to not give up. If I can do it then anyone can!! And don’t be afraid to talk to your Dr about drugs like Adipex or having weight loss surgery. You do you!! I plan on writing more posts like this and talking about night shift life, what I’ve been eating while losing weight and my “workouts” (I use that term loosely, HA). If there is anything you would like to see a post about specifically then let me know in the comments!! 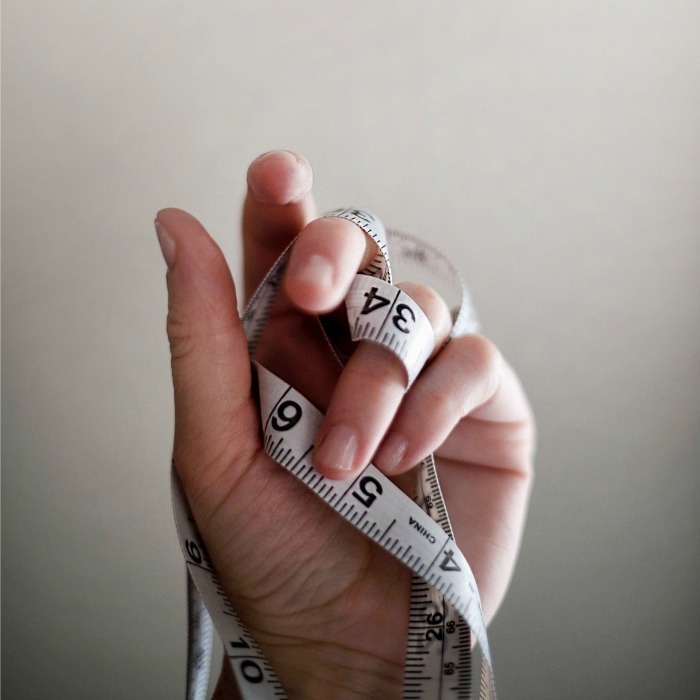 Have you had success losing weight?? 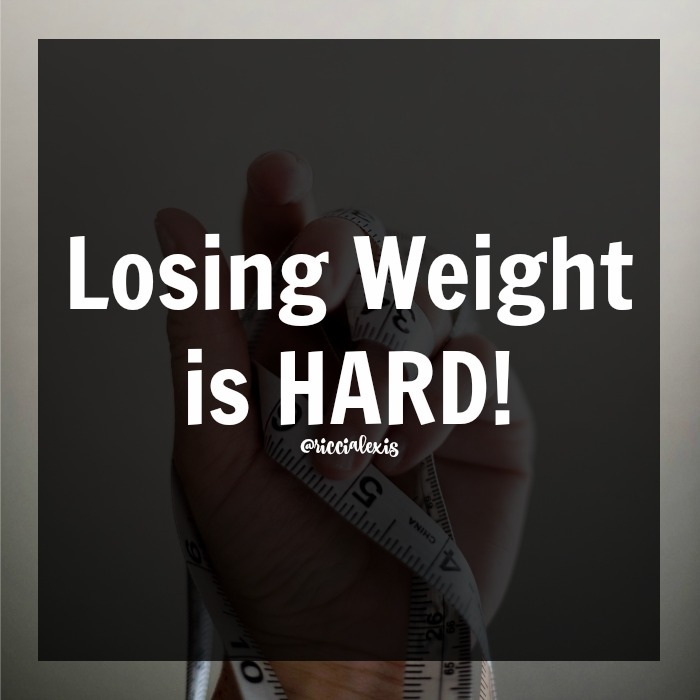 Losing weight is SO hard! Keep going, because you are killing it. You look great! 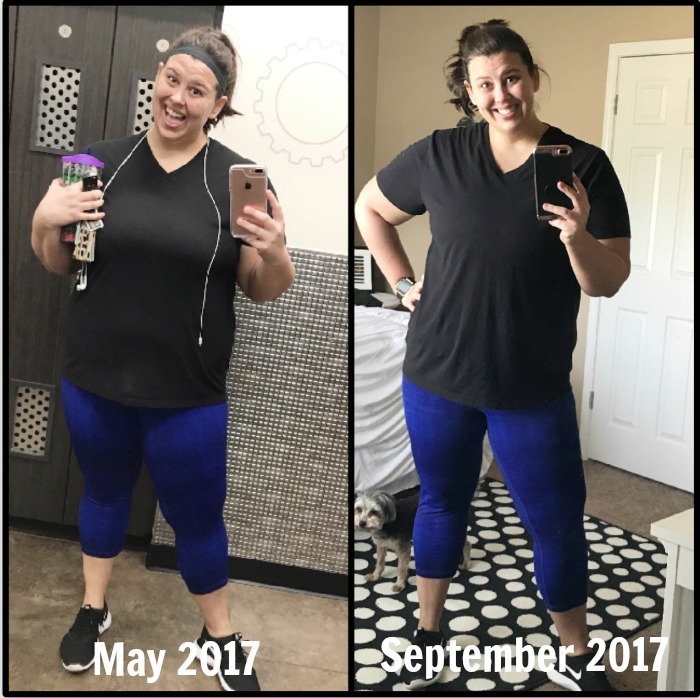 Girl – your progress is amazing!! 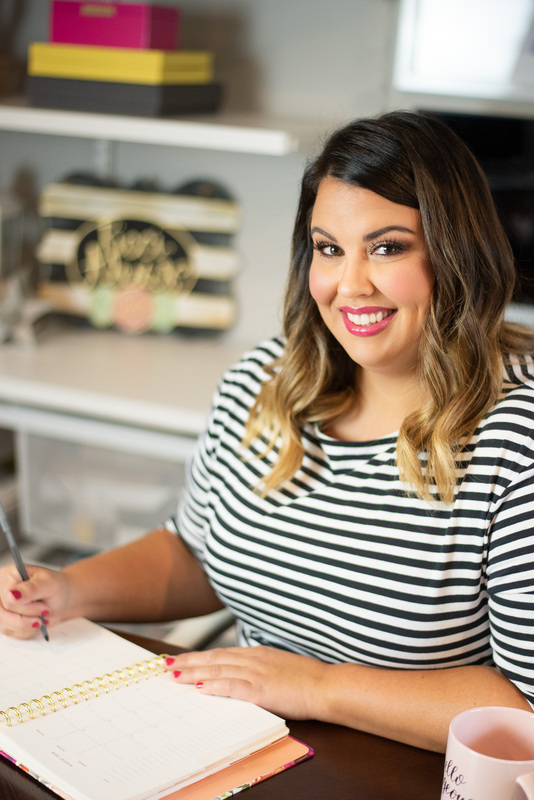 If you need any help, I am here for you – I actually am a weight loss coach, but without the deprivation or anything!! Gosh I’m pretty sure losing weight is tough for most of us girls!! BUT on the bright side you look awesome and I love seeing side by side pics because you can see immediately how far you’ve come!! Keep at it! You look AMAZING! I have always had broad shoulders and been on the curvy side as well only, unfortunately, I am SHORT! At least you had tall going for you and you are GORGEOUS no matter what your weight! Good job and it is much better for your health to be lower weight as well I am sure. Way to go girl! 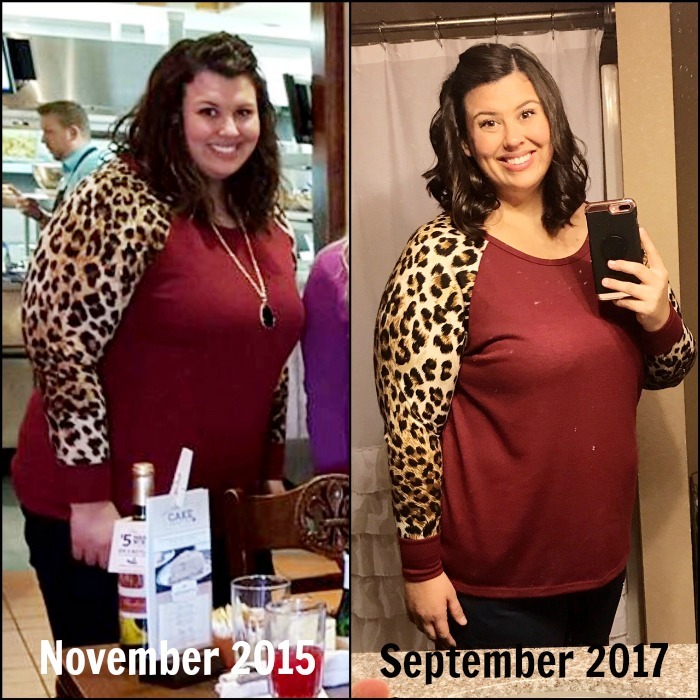 it is fabulous that you are putting heart and soul into losing weight! You are doing a great job!! You are doing great! Losing weight is definitely a super hard thing. Good for you and keep up the awesome work! You look great! I think first and foremost, like you said, it can be so hard to just take care of yourself when it comes to working and other things. Glad to hear you are making the time to work on eating better and working out. Something I need to do too! I loved reading this post! I’m so extremely proud of you and your transparency. You are beautiful, intelligent, and full of life. I’m glad “you are doing you”. If you are ever in town and what to grab lunch or go for a walk let me know. I agree with you. When you work the night shift it’s really going to take a toll on yoir health and it will definitely make you gain weight as well. Finding the right diet that works for you can be a real struggle. You’re doing a great job. You look amazing! I know weight loss is so tough for many. Glad to see you’re doing good. OMG i’m so proud of you! I can’t wait to celebrate in Dallas next month! GO RICCI! Oh my goodness, Ricci! You rock! I can see so much difference in your before and after pics. I know the losing has taken longer than you had hoped, but maybe that means it will be easier to keep off. Keep it up, Ricci. After giving birth to my daughter I was losing weight like nothing. I guess I thought it would stay that way forever. I started to eat very unhealthily and not sleeping well. Within a year I had gained all the weight back plus some. I agree so much with this. Losing weight is hard. And a constant battle to figure out what works for you. I have tried a lot of different things and will continue trying until I find the method for me. Looks like you’re doing great. Hang in there. Know there will be tough days (and even weeks and months). Just never lose sight of your goal.